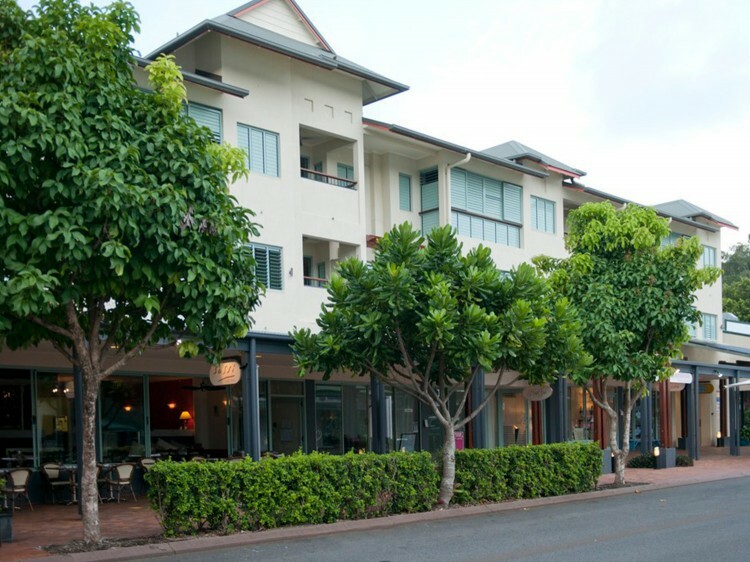 Located in the centre of Port Douglas, Mantra in the Village characterises the sophisticated yet casual atmosphere of this seaside boutique style accommodation. Mantra in the Village has been designed to enhance the airy Tropical North Queensland climate, with all-weather verandas, slide back louvres and timber shutters all prominent features. Offering a range of accommodation from hotel rooms to self-contained one and two bedroom suites, all rooms include air conditioning, ceiling fans, hairdryer, iron and ironing board, tea and coffee making facilities and cable TV. One and two bedroom suites offer the extra convenience of kitchenette facilities and a private balcony (some with whirlpool spa). 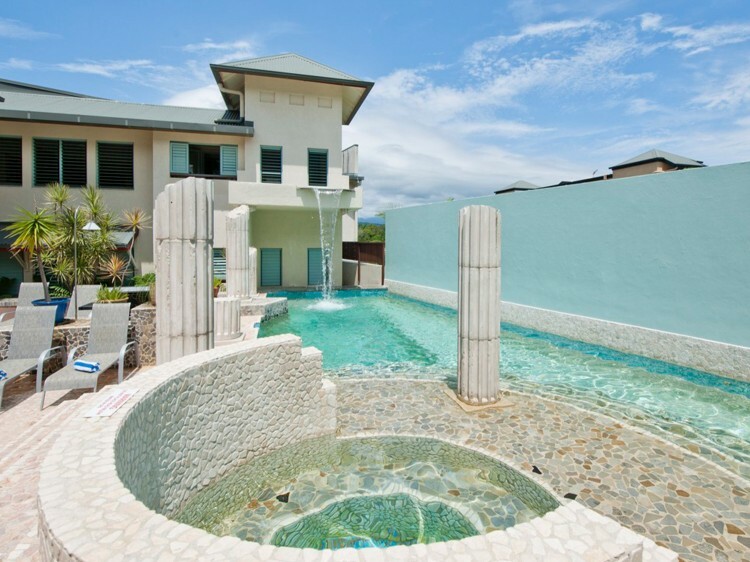 Featuring a large Roman-inspired pool and spa with mosaic tiling, cascading waterfalls and fountains set amongst tropical landscaped gardens. The resort offers complimentary parking, in-room internet connection and lift for easy access to the car park, rooms and apartments and street level. 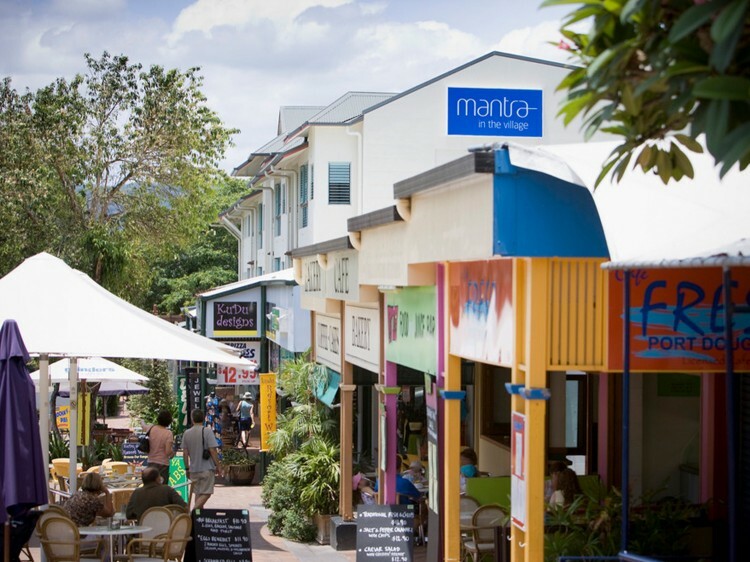 Port Douglas provides plenty of attractions and entertainment, including local markets on Sundays, the Marina Mirage complex with over 40 specialty shops, restaurants and galleries, and the famous Four Mile Beach. 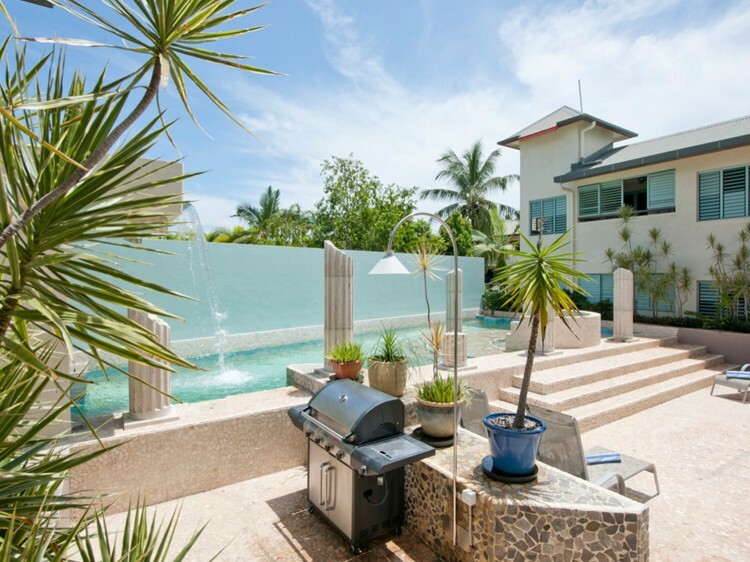 At Mantra in the Village you are perfectly located to explore everything Port Douglas has on offer. Complimentary underground parking is available on site. Maximum vehicle height is 1.8m.